Soda bread is a type of quick bread in which bread soda (otherwise known as sodium bicarbonate or baking soda) is used for leavening rather than the more common yeast. Left: Whole wheat soda bread (known as wheaten bread in Northern Ireland). The ingredients of traditional soda bread are flour, bread soda, salt, and buttermilk. Other ingredients can be added such as raisins, egg or various forms of nuts. Various forms of soda bread are popular throughout Ireland. 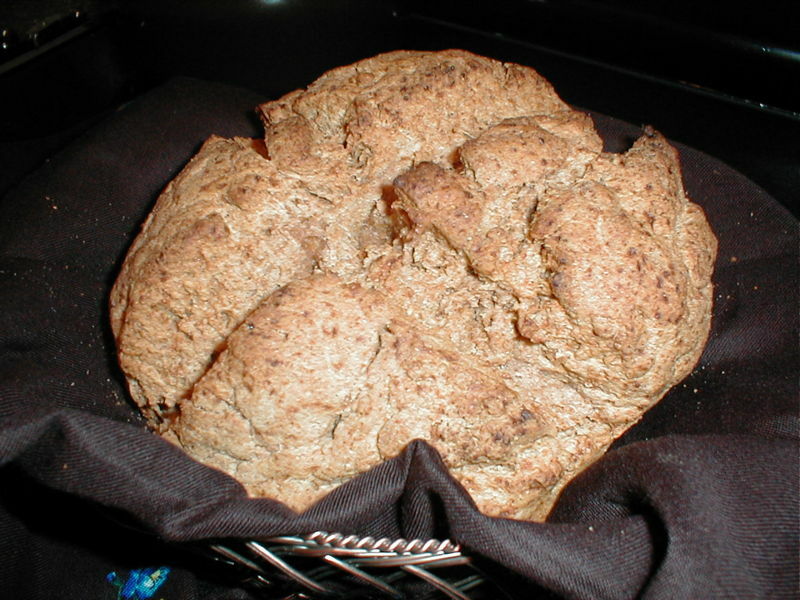 Soda breads are made using either wholemeal or white flour. 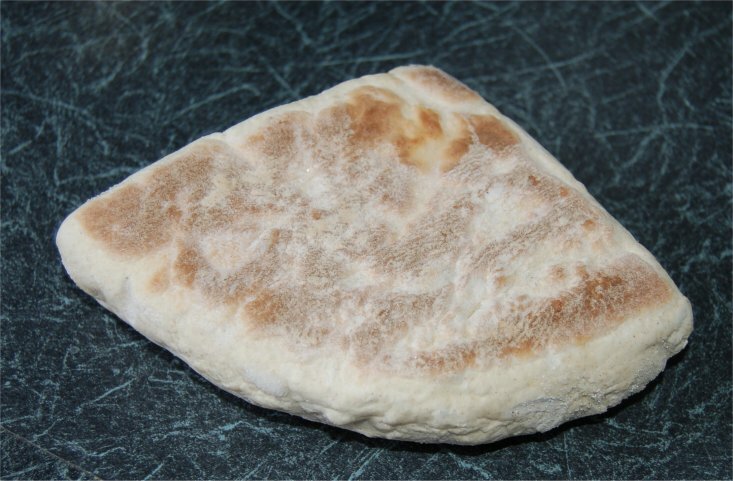 In Northern Ireland the wholemeal variety is known as "wheaten bread" and normally sweetened, while the term "soda bread" is restricted to the white savoury form normally served fried. The two major shapes are the loaf and the "griddle cake", or farl in Northern Ireland. The loaf form takes a more rounded shape and has a cross cut in the top to allow the bread to expand. The griddle cake or farl, is a more flattened type of bread. It is cooked on a griddle allowing it to take a more flat shape and split into four sections. Left: Soda bread in farl form. This would have been connected to the rest of the bread along the straight upper and right edges to form a circle.